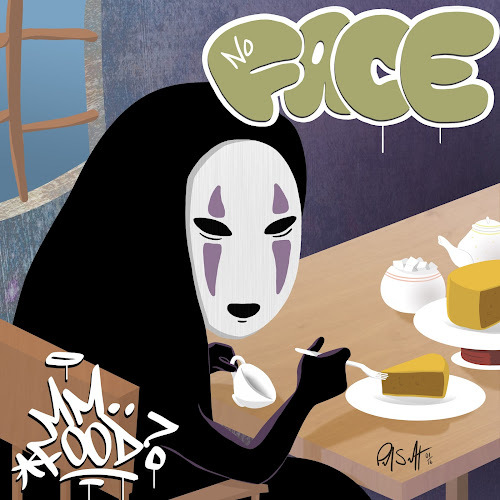 I drew a mashup of Spirited Away's No Face with MF Doom's "Mm.. Food" album. This is based on the scene in Zeniba's home. No Face eats a lot in Spirited Away so I thought it would be a good fit with the "Mm.. Food" album cover.